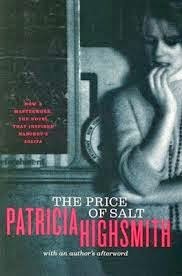 Patricia Highsmith’s story of sexual obsession may be one of the most important, but still largely unrecognized, novels of the twentieth century. First published in 1952 under the pseudonym Claire Morgan and touted as “the novel of a love society forbids,” the book soon became a lesbian cult classic. Yet it was always relegated to a mystery subgenre and never before given the literary recognition that it is now receiving. Based on a true story plucked from Highsmith’s own life,The Price of Salt tells the riveting story of Therese Belivet, a stage designer trapped in a department store day job, whose routine is forever shattered by the appearance of Carol Aird, a customer who comes in to buy her daughter a Christmas toy. 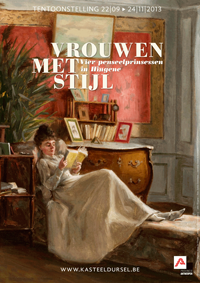 Therese begins to stalk the alluring suburban housewife, who is trapped in a marriage as stultifying as Therese’s job. They fall in love and set out across the United States, pursued by a private investigator who eventually blackmails Carol into a choice between her daughter and her lover. I was curious about how a novel written in 1952 would handle a topic that was such a taboo at that time, and I fully expected that the story would feel dated and somewhat awkward, given the time that has passed since it was written. However, the only things that dated the story were the actual details that placed it in the 1950's: the use of telephones (through an operator) and telegrams, the prices of things and amounts of money spent ($20 for a speeding ticket; $1 a day for a room in a boarding house), and the attitude of some of the characters (Carol's husband and Therese's boyfriend) towards a romantic relationship between two women as something "sordid and pathological". But the story of the relationship itself did not feel dated at all. If you took away all the 1950's details and gave Carol and Therese cell phones, and the private investigator a webcam instead of a dictaphone, this story could easily be transposed to our times. It is a story of a woman trying to get out of an unhappy marriage who falls in love with a younger woman who worships her. At the beginning of the novel and through the road trip, I did not warm to either Carol or Therese as characters. Carol was domineering and capricious, while Therese seemed much too passive. However, there is a huge turning point in the novel, where Therese ends up spending a week or so on her own in Sioux Falls, and we see her come out of her shell, meet other people and spend time apparently thinking about her situation and her relationship with Carol. This time alone seems to strengthen her to the extent that she is much more mature and able to make a real conscious choice once she is back in New York City at the end of the book. So the fact that the story is over 60 years old is not a problem; in fact, I loved the period details. I also loved the fact that Therese and Carol traveled through South Dakota, Wyoming, Utah and Colorado; places I visited on a big road trip a few years back. I could so imagine them in a nearly empty restaurant in a lodge in a pine forest somewhere in the Black Hills.